The iPhone is a popular device that users can perform so many actions with through apps, games, music, and videos. These actions are powered by background processes and constant interaction between OS and hardware. Over time, the after effects of these actions and background processes result in slow iPhone, over bloated memory, and other performance related issues. At such, it is very imperative to get an iPhone optimizer and constantly optimize your iPhone to enable it run optimally, so that you can enjoy your games and apps without much fuss. Easy to use: As with all tech-related products, the user experience is of the utmost importance. It should be readily usable by even non-tech heads in an easy environment and user-friendly interface. 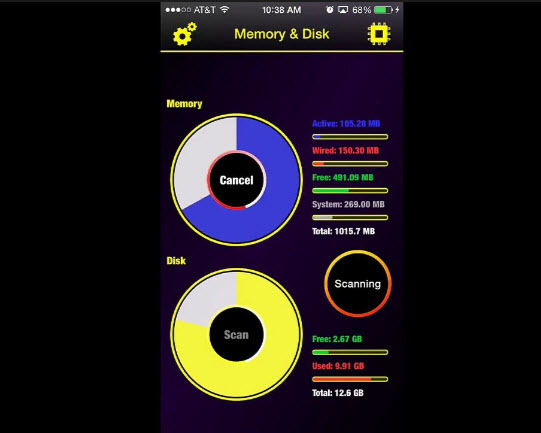 Storage Management: An iPhone optimizer that can icut down iPhone storage usage is equally important. Uses Statistics: It is pertinent to track what you’re fixing and know if there are actual improvements. Clear up junk files: This is a free feature. Junk files, such as app caches, cookies, crash logs etc., take up lots of space and frankly speaking, most are not useful. 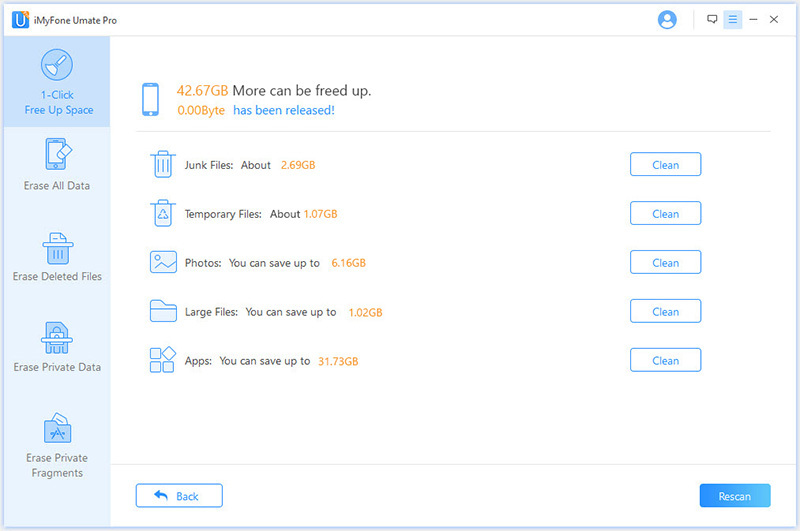 As these files are invisible, so you need an iPhone Optimizer to help your cleaning all such files. Clear temporary files: Temporary files are similar to junk files. And the two together adversely affect system performance. This feature of Umate Pro facilitates the removal of these types of files. Compress photos: Umate Pro can compress your photos and reduce them to 25% of their initial size. Transfer photos & videos to PC/Mac: The program comes with a backup option that helps you transfer your original photos/videos to PC before compression or deletion. Erase previously deleted files: Scan and unearth sensitive and private files you have deleted before, and permanently erase them forever with zero chance of recoverability. Erase Private iPhone data: This feature is useful whenever you want to get rid of your device and you need to wipe the slate clean. The iPhone Optimizer is similar to Umate Pro, but doesn’t carry the power features Umate has. It is simplistic in nature and will help you clear out junk files. The app also gives clear device’s system information. 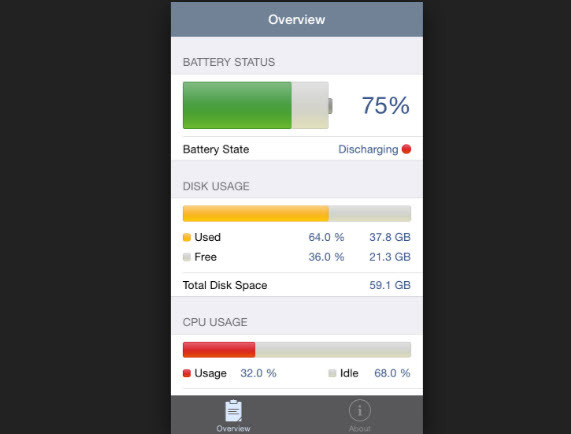 Other functions of the app include: disk scan, show system information, and how much disk space you have as well as your CPU usage and RAM usage. This utility is quite useful, and when I say useful, I mean it will help you in a lot of ways. For starters, it takes care of your photos, starting with compressing your photos as well as deleting duplicate photos and screenshots. This iPhone Optimizer also comes with a battery saver which helps user manage their iPhone battery better. 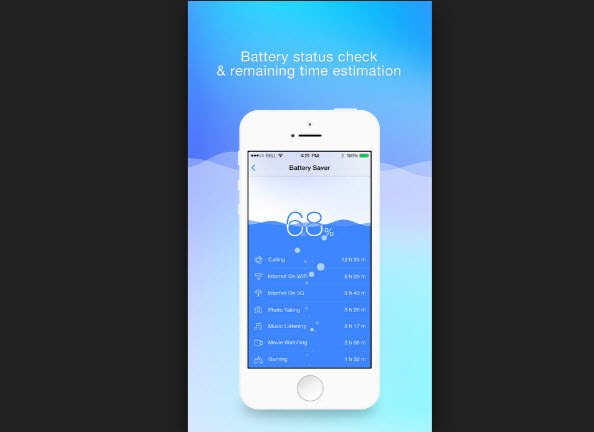 In all, the app optimizes performance, speed, memory, as well as showing the true state of your iPhone battery. System status does one thing well, and it is providing detailed stats of your device’s status as regards to system resources and battery. And the reason is to enable you make changes to your device through and seeing if they have an effect on your devices performance. iOS 12 – Can It Speed up iPhone/iPad? Should I Update to iOS 11 or Stay with iOS 10?